Olsson Mfg. 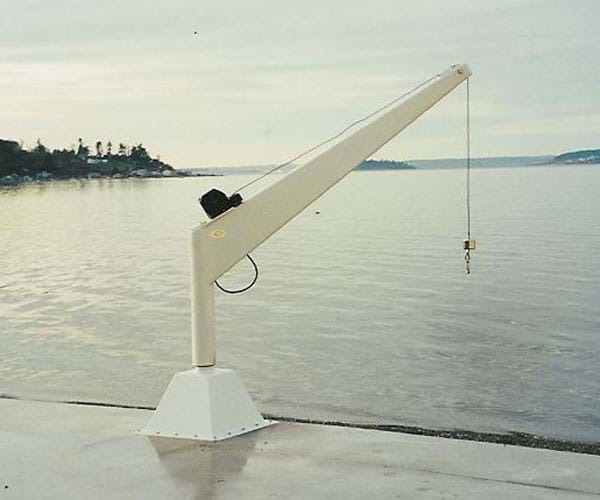 Inc., makers of Roskelley/Olsson Davits and Cranes is North America’s leading davit manufacturer and has a long and rich history of providing the correct solution. In business for over 40 years, Olsson Mfg. 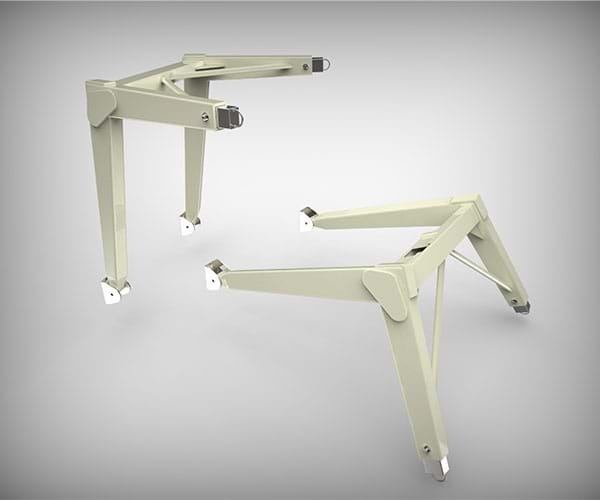 has set the standard for transom davit technology and continues to lead the way in innovation and reliability. Often copied but never duplicated, we have the right solution the first time. 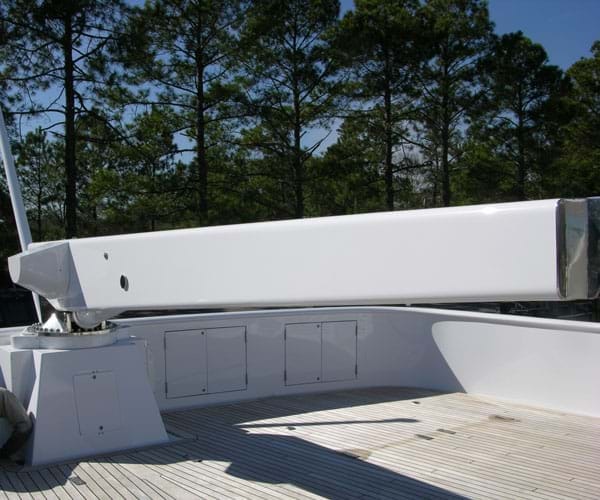 We offer everything a boater needs including a full line of deck cranes. Olsson Mfg. has the right piece, in stock, ready to deliver, with a robust dealer network of experienced installers throughout the nation and the world. We are big enough to satisfy all of your needs and small enough to care. Family owned and operated, we are dedicated to our customers and dealers, as they are our family. Olsson Mfg. 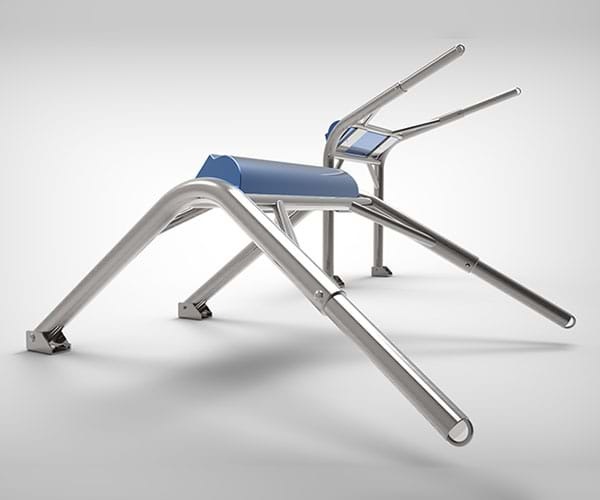 strives to design and build the ideal solution for each of our customer’s needs. We are committed to delivering affordable, reliable and efficient systems to fulfill our customer’s needs. 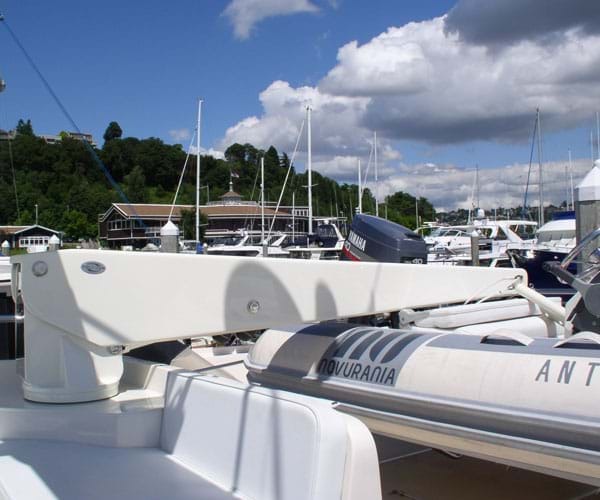 Please view our website and contact us so that we may add to your boating experience. Olsson Mfg. 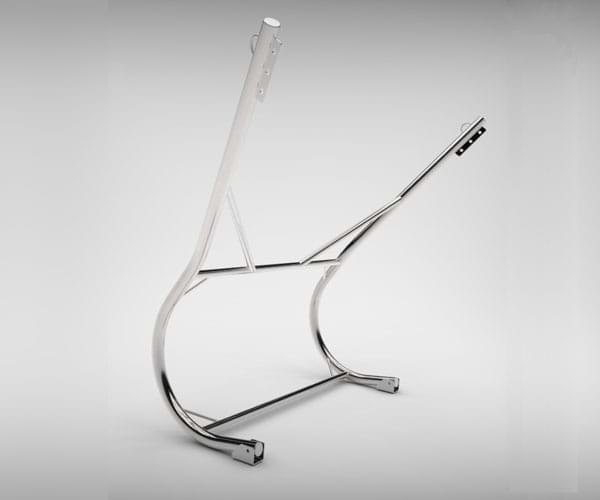 pioneered the original transom fork design some 25 years ago. Since the original, we have worked to provide vessel owners many options. We believe you shouldn't sacrifice your vessel's performance to take along your tender. Nor should you need to stow your tender items in your valuable vessel space. What is the cost of a Davit? 1. How does it change the performance of the vessel? No one in their right mind would drag a parachute behind their vessel everywhere they went. Why? It creates drag which then requires more power to maintain the same speed or a reduction in speed at the same power. More power means more fuel. Less speed means more time running. What does this cost you? How much is a gallon of fuel? 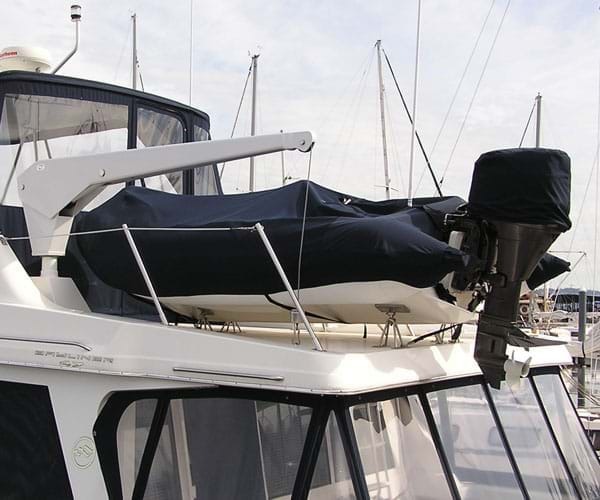 Many davits on many vessels are exactly the same as dragging a parachute everywhere you run. Any time you interrupt the clean lines or laminar flow of you vessel, you increase drag and decrease performance. In certain marginal performing boats, it could be the difference of getting on plane or not. That certainly changes the performance. 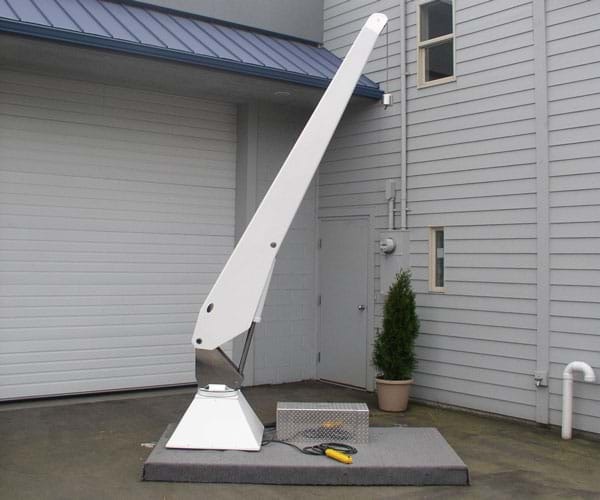 What if a davit system where to create just enough of a low pressure that it decreases the performance by 2%. Not much. But at $4.00 per gallon that’s $.08. You’re still paying for that davit $.08 per gallon of fuel for the life of the davit. 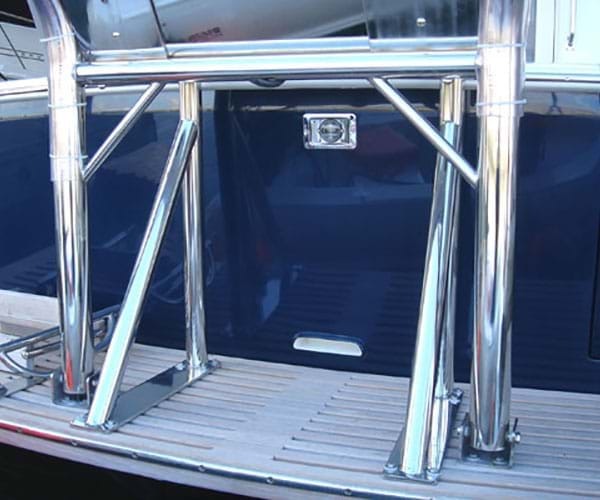 If you own an express style boat, a convertible, a sedan, sport fisher or down-easter, any aft edge riding davit system you buy will drastically effect your performance. If you have and aft cabin, an argument could be made, but you must still consider the low pressure. Exhaust? At Olsson Mfg., our davits “cup” little if any air. No drag chute. No low pressure. No exhaust soot across the transom and swim step. Laminar air moves above, below and around our davit/dinghy combo virtually eliminating any performance robbing drag chute effect. 2. 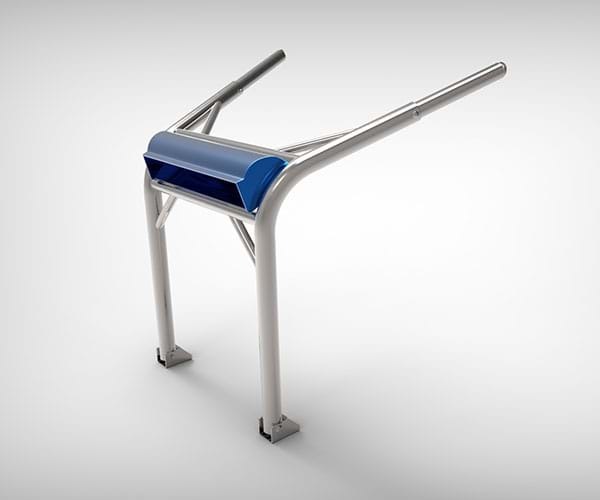 If every time you stow you tender on your davit, you are forced to unload the tender, is it costing you space? If you have to find storage for the motor, battery, fuel, fishing gear, crab or shrimp pots, is it robbing you of vital space that you could use to bring other things. Costco provisions versus fuel dock provisions. Extra safety items versus tender supplies? Olsson Mfg feels tender items belong in the tender. Our systems allow the motor and fuel to stay where the manufacturer intended. 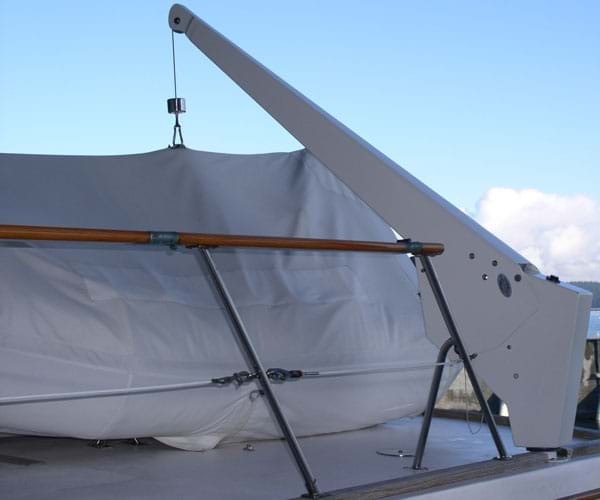 With the addition of a cover, all items stowed in the tender stay high and dry. Instead of robbing storage, a transom davit is adding storage. 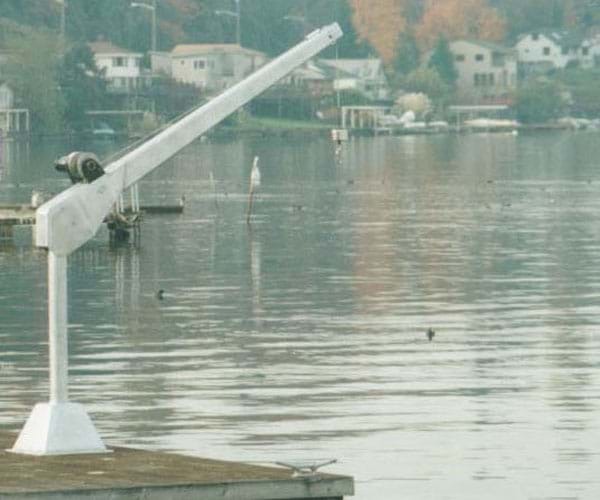 So when considering a davit purchase, add to you vessel don’t take from it. Now available at select retail locations throughout Canada and the United States. 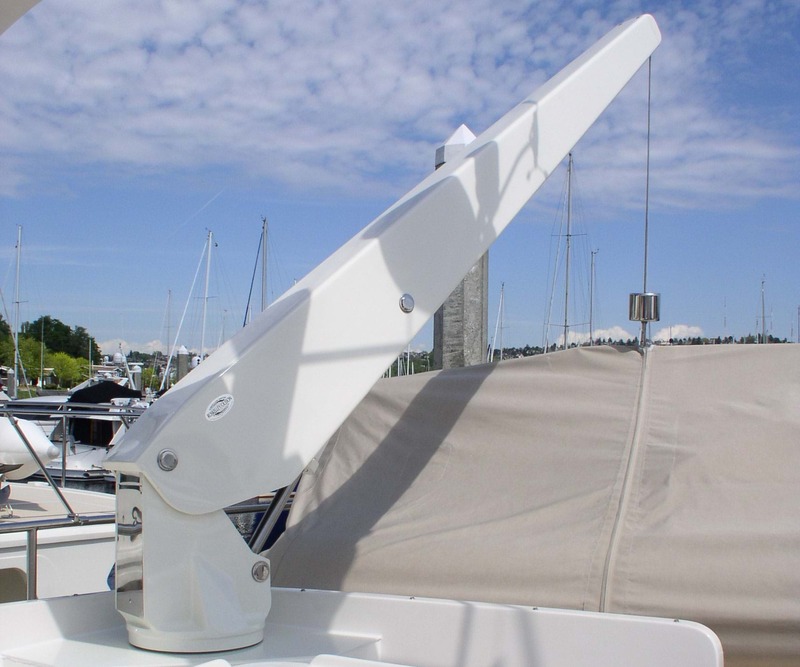 Please give us a call if you have any questions about our line of Boat Davits and accessories. You can either reach us by phone or use the contact form to email us below. © 2019. Olsson Mfg. All Rights Reserved.